In short, DAC stands for Digital-to-Analog Converter. Basically, these devices allow you to convert digital audio into analog audio information (which is to be transferred to headphones). If you don’t have experience with DAC units, all you need to know is that these little contraptions allow you to boost the quality and strength of audio signal information coming from your headphones. We’re going to talk about the Best DAC Under $100, the so-called “budget” DAC units. Of course, this range is quite broad, but we’ve handpicked only the best for your leisure. Enjoy! Let’s begin with Syba’s SD-DAC63094. Basically, this is the most affordable “budget” DAC in our review, but it’s not to be underestimated. Namely, it’s forte is affordability, but it also comes outfitted with a set of very nice features, including a convenient equalizer. Now, the EQ switch governs the bass boost, treble boost, and Direct options, allowing you to customize your music experience. Syba’s DAC headphone amp supports the PCM format, ranging from 44.1 kHz to 96 kHz. Anyhow, this is one of the cheapest DAC units you will be able to find, so you shouldn’t expect too much. Generally, it’s good for the money, but it won’t last you forever. All in all, it holds quite a value for the price. Next on our list of the best DAC headphone amps is the combo of Xtrempro’s X1 USB DAC amps. Basically, they’re quite affordable, but that’s not all. In essence, USB DAC headphone amps are extremely compact and easy to carry around while still being able to pack quite a punch. 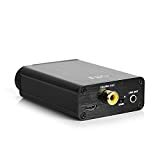 The X1 USB DAC headphone amp supports various music file formats up to 192 kHz range, which is considerably stronger when compared to most budget headphone DAC amps. Now, these amps are designed with direct-coupled circuitry, and they draw their power directly from the exquisite ESS Sabre™ DAC chip. In short, this combo is very powerful and decently affordable. DAC converts digital coaxial/optical signals to two-channel L/R headphone audio output. Tendak’s portable DAC headphone amp offers a cheap way to improve your music enjoyment. 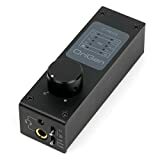 Generally, this DAC converts digital coaxial/optical signals to two-channel L/R headphone audio output, and you can select the signal form with the “Select” button. 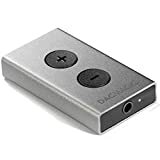 Furthermore, this DAC headphone amp is portable and easy to carry around, and it’s quite lightweight. It supports various sample rates, from 32 kHz to 192 kHz. One of the best things about Tendak’s DAC headphone amp is that it’s compatible with Apple TV/CD/DVD and Blu-ray players. Wrapping it up, this is phenomenal, easy to use, easy to carry DAC headphone amp that offers quite a lot while demanding very little. We’re going to mention FiiO quite a lot in this review, so let’s open the streak with their K1 portable USB DAC. 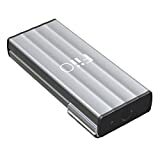 Namely, this is one of the most affordable FiiO DAC units, mainly due to the fact that it’s also the one with the simplest design. Generally, this DAC headphone unit features the Micro USB audio input and two 3.5mm headphone output ports. Furthermore, the drive ability of K1 DAC ranges from 16 to 100 Ohms. There’s also a drawback – the sample rate of USB decoding can reach up to the maximum of 96 kHz which is not as powerful as other FiiO DAC units. 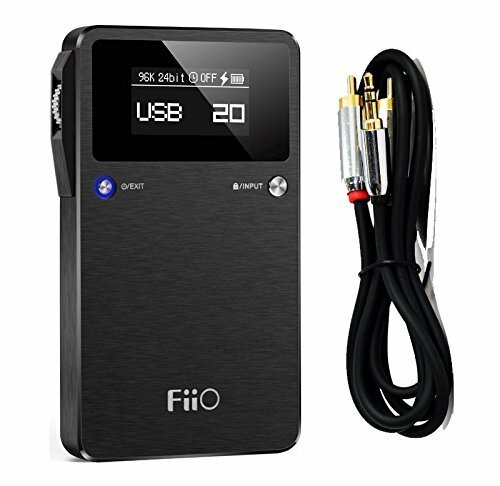 Anyhow, the overall value of Fiio’s K1 portable DAC headphone amp is quite high due to its simplified method of operation and a set of magnificent features. Now, if you liked FiiO’s K1, you will love their Q1 portable USB DAC amp. 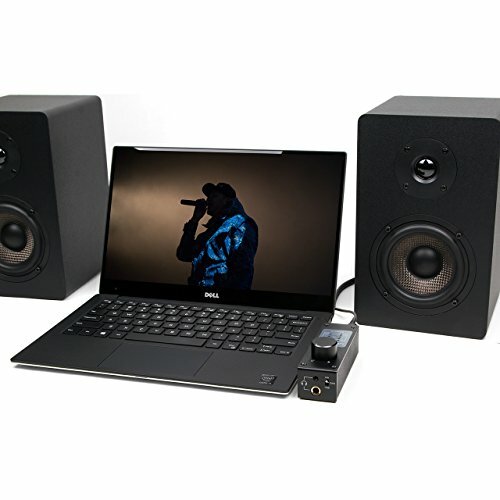 Basically, this is an improved version of its predecessor, capable of amplifying the audio output of PC and mobile devices. 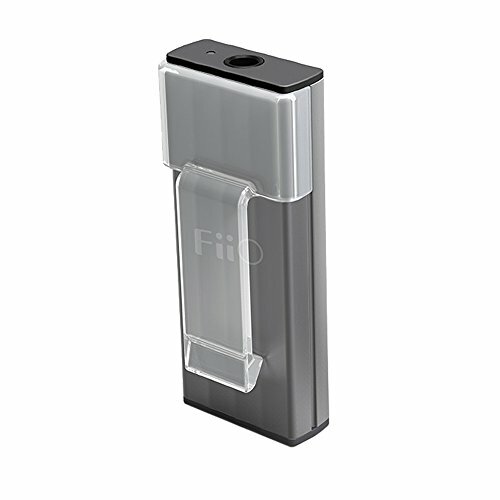 Furthermore, the DAC and amplification functions are completely separate, allowing for an enhanced field of usage. 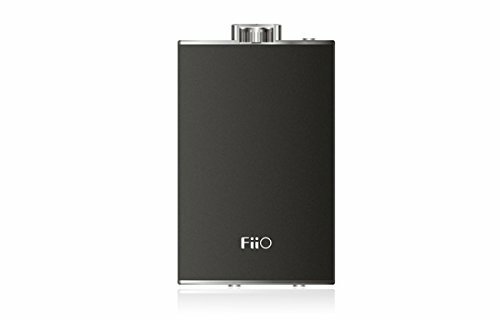 FiiO’s Q1 features a built-in battery that is easily rechargeable, and you can even use the Q1 while it’s charging up. Sadly, the supported formats remain the same – up to 96 kHz. Anyhow, this is the only flaw – Q1 is affordable and versatile, boasting a huge value for the cash. Next in our list of the best DAC headphone amps is Cambridge Audio’s DacMagic XS v2. 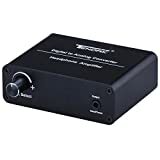 Basically, this is an affordable DAC unit that significantly improves the audio quality of your MP3, FLAC, and WAV files. Essentially, it can be used with PC or Mac computers with USB connection, but it’s primarily a headphone amp. 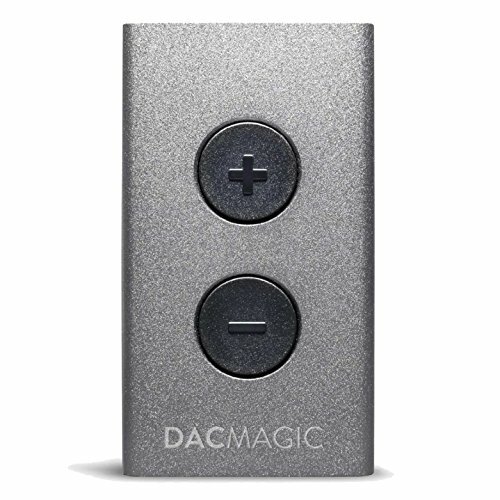 One of the best things about DacMagic is that it comes with a durable aluminum casing. 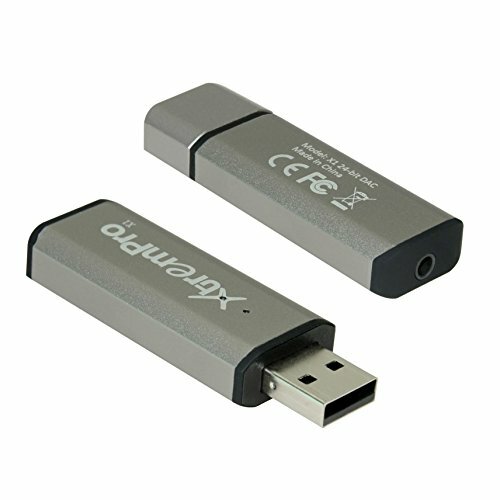 Namely, this feature allows for superior durability of DacMagic when compared to similar DAC units. This DAC headphone amp is quite simple to use, and it can be carried around easily due to its small design. Generally, FiiO’s E10K USB DAC and headphone amp is one of their finest DAC units. It comes supplied with a handy volume potentiometer that allows for extremely easy operation, and a special switchblade 3dB bass-boost circuit for optimum performance. Furthermore, this DAC unit comes outfitted with a superior EQ software, allowing for a broad range of sound customization. 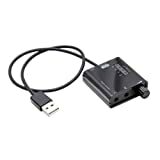 The USB digital audio convert option is also available, but that’s not all. Namely, automatic support is provided to most OS systems without drivers, which is perfect for beginners. Basically, Micca’s OriGen is one of the best DAC units we’ve come across. In essence, this DAC headphone amp is a digital audio playback device that supports high-res PCM audio up to 192 kHZ. Furthermore, the Stereo line supports headphones up to 600 Ohms, which is really something. One of the most unique things about Micca’s OriGen is the selectable digital input option. 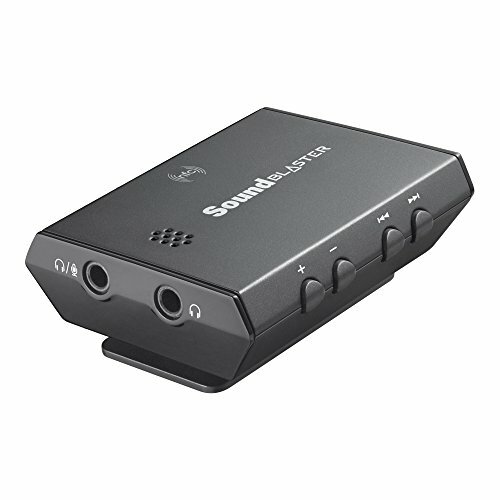 Namely, you can switch between USB and Optical S/PDIF, allowing for a more flexible and stable source connection. We’ve stuck with FiiO so far, but we just can’t exclude one of their best DAC units now – the E17K, otherwise known as E17. Essentially, this is one of their more expensive models, but it still belongs to the “affordable” price range. In fact, FiiO E17K Alpen 2 portable headphone amp just might be the best DAC headphone amp in the price range. In short, the E17 is a compact USB DAC headphone unit that comes outfitted with a magnificent SA9027 USB chip. You can use this DAC unit as a replacement for sound card for PCs that support up to 96 kHz as well. The estimated frequency response ranges from 20 to 20000 kHz while the headphone impedance ranges from 16 to 150 Ohms. All in all, this is a relatively affordable DAC unit that comes supplied with cutting-edge technology and state-of-the-art features. Needless to say, you can’t go wrong if you choose it. It’s only fitting to conclude our review with one of the best DAC under $100 out there, the Creative Sound’s Blaster E3 Portable DAC headphone amp. In short, this is a high-quality headphone amp that’s capable of boosting your headphones up to 600 Ohms and 112 decibels. 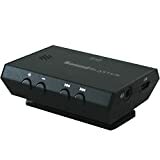 You can connect the Sound Blaster to smart phones, tablets, or PCs via USB, allowing for superior streaming quality. Furthermore, this is one of the few budget DAC units that comes outfitted with the Bluetooth and NFC feature. Essentially, you can find a good budget DAC headphone amp well under $50, or even $20. Now, the reason why we extended the range to $100 is that paying extra buck “means” better quality in this case. Namely, more expensive DAC units offer more options, but they’re also more beneficial. We hope that you found our review of the 10 Best DAC Under $100 to be helpful.